The ChinQuee Center is proud to offer the Intraceuticals Oxygen Facials in our Aesthetic Medicine practice. Revive, Replenish and Protect your skin. 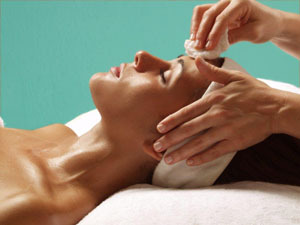 These unique and innovative Facial treatments are medical grade facials custom designed to revive, replenish, repair and protect every skin type from acne-prone to aging skin. Each nutrient-rich Intraceuticals Oxygen Facial is prepared using an essential blend of multi-weight hyaluronic acid, botanicals, vitamins and antioxidants and customized for you to dramatically transform the look and feel of your skin. The Hyaluronic Acid helps to instantly hydrate the skin resulting in noticeably improved texture, increased firmness, better volume, reduced appearance of fine lines and wrinkles . The botanicals, vitamins and antioxidants protect and defend against premature aging and environmental damage. For the ultimate in hydrated, clear fresh glowing skin. An Intraceuticals Rejuvenate treatment is a non invasive treatment that targets the appearance of fine lines, wrinkles and dramatically enhances overall hydration. Dramatically transforms the way your skin looks and feels. Cooling, calming, pressurised oxygen increases absorption of the Rejuvenate serum and naturally improves your skin’s moisture levels while Vitamins and antioxidants protect and defend.. Visibly improves your skin’s texture, radiance and vitality. A targeted treatment to smooth the appearance of expression lines and wrinkles. Firms, lifts and plumps the appearance of wrinkles caused by facial muscle contractions around the forehead, eye, nasal folds and lip areas. 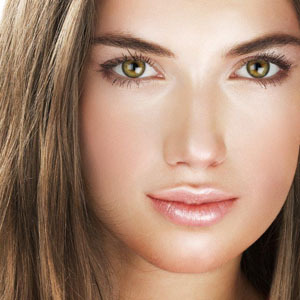 With just one Atoxelene treatment® your expression lines will appear visibly softened. Expression lines appear smoother, firmer and visibly reduced, eye contour more defined and lips look plumped For maximum benefits repeat treatments are recommended weekly for the first six weeks. A combination of lightweight Hyaluronic Acid, and antioxidants results instantly in a smoother appearance of expression lines and wrinkles, better volume and increased firmness. Your skin will emerge deeply hydrated, balanced and glowing with vitality. With continued use of home support products results are not only instant but continue to improve in the following days. Maintain this positive change with an Atoxelene treatment® every four to six weeks. Align yourself with the Hollywood A List. Ideal for uneven dull spotty skin tone. In just one soothing treatment your skin will look younger, brighter, more luminous. Uneven skin tone is balanced, skin looks and feels hydrated, rejuvenated, radiant and fresh. An Opulence treatment is soothing, relaxing and suitable for all skin types. A combination of lightweight Hyaluronic Acid, Vitamins A, C, E and Green Tea result instantly in smoother looking skin with reduced appearance of fine lines and wrinkles, better volume and increased firmness. A blend of botanical brighteners and superconcentrated Vitamin C helps brighten and balance the appearance of uneven skin tone. Your skin will emerge deeply hydrated, more luminous, and glowing with vitality. Results are not only instant but continue to improve in the following days with continued use..
A combination of lightweight Hyaluronic Acid, Vitamins and antioxidants result instantly in calmer, clarified skin with reduced appearance of blemishes and irritation. Your skin will emerge hydrated, calm, balanced and glowing with vitality. Results are not only instant but continue to improve in the following days. 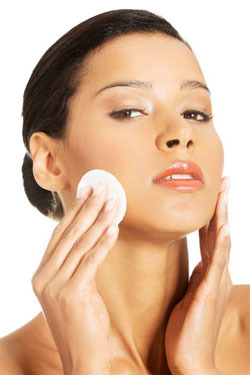 Impurities are banished leaving an environment for calm clear refined skin.